Spain is blessed with many beautiful beaches and azur seas, with calm waters for sailing; do talk to us about location options and ideas. Our friendly, multi-lingual staff will welcome you and your team on board a beautiful boat for this sophisticated, lively and engaging activity - wine tasting while sailing the azur seas. Allow your team the opportunity to enjoy a ​unique winery experience; enjoy rare wines, wines from the region and wines from around the world, with the help of our winemakers and sommeliers. Our knowledgeable team will help teach you about the characteristics of each wine in this fun, relaxed, informative setting, while our skipper and sailing team ensure your safety at all times. We can help supply a wonderful Spanish-style BBQ lunch or dinner, on dry land, prior to or following, the wine tasting event. Alternatively, an on-board meal, with plenty of seafood options, works wonderfully with this activity... and we'd be happy to supply. 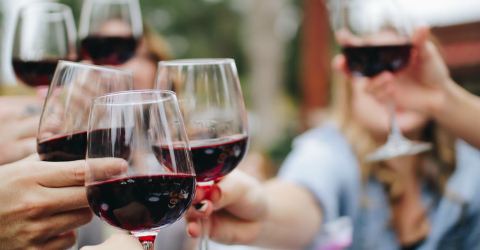 A wine tasting event will provide the perfect setting for team members to build lasting relationships through bonding, in a relaxed setting. We can happily accommodate larger groups. This activity tends to take around 2 hours and can be combined with many of our other beach-based activities.